As the settlements continue to grow, in violation to international law, we must stop this pro-apartheid legislation. Maryland lawmakers and Jewish advocacy groups are in the process of putting the final touches on a bill that would ban companies that support the boycott, divestment and sanctions (BDS) movement against Israel from doing business with the state. The bill, which is expected to be introduced in the next few weeks, would prevent the Maryland State Retirement and Pension System from investing in any companies that participate in the BDS movement and also prohibits companies that support BDS from securing state procurement contracts. The bill would amend the 2008 Divestiture from Iran and Sudan Act, which prevented companies that do business with Iran and Sudan from doing business with the state, to include these measures. Lawmakers are working with the Baltimore Jewish Council and Jewish Community Relations Council of Greater Washington (JCRC) on the legislation. Sen. Bobby Zirkin (D-District 11), the bill’s lead sponsor in the Senate, said the push to get Maryland on the record against BDS is part of an effort for the state to stand in solidarity with Israel. “I just want to ensure that this ridiculous messenger movement against Israel never sees the light of day in our state,” Zirkin said. 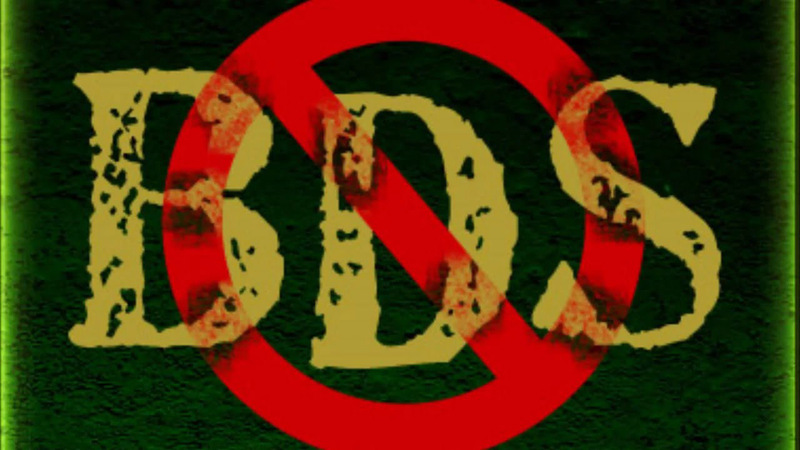 The bill will use language similar to that of U.S. Sen. Ben Cardin’s anti-BDS bill, which defined BDS as “actions … intended to penalize or otherwise limit commercial relations” with Israel, said Sarah Mersky, director of government relations at the BJC. This past September, in response to a request from Dels. Sandy Rosenberg (D-District 41) and Shelly Hettleman (D-District 11), a Maryland State Retirement and Pension System staff review found two companies, Denmark-based Danske Bank and Nordea Bank, would potentially be banned from participating in ongoing services. Danske Bank is the only one of those two companies held directly within the pension system with less than $3.5 million, or 0.08 percent, of the market value of the system’s $46-plus million in assets. In addition to identifying companies that support the BDS movement, the state’s pension system is also evaluating the risk to the system’s beneficiaries and how to address that issue. On its surface, many feel the goal of the BDS movement is to delegitimize Israel and end the Jewish state. As a result, Rosenberg said it is critical for Maryland to have a firm approach when it comes to combatting companies tied to BDS. “In a state like Maryland, where we have an ongoing relationship with Israel economically and culturally, it’s important to send a message to businesses saying that if they support BDS, they can’t do business here,” Rosenberg said. Maryland, which has one of the largest Jewish populations in the United States, was Israel’s 43rd-largest trading partner in 2015 with $145.1 million in product exports, according to Republican Gov. Larry Hogan’s office. Del. Benjamin Kramer, a Democrat who represents District 19 in Montgomery County and is the bill’s lead sponsor in the House of Delegates, said he is confident the legislation can pass because of Maryland’s longstanding cultural and economic relationship with Israel. Three years ago, Kramer and Baltimore City Sen. Joan Carter Conway (D-District 43) introduced a bill in the House and Senate that would have reduced state aid to universities that fund organizations that support BDS. Those bills were tied to the American Studies Association’s boycott of Israel and pitted those in favor of academic freedom against the anti-BDS crowd. But those bills were amended, removing the threat of financial sanctions. Instead, Kramer was able to successfully get language passed in the state budget that condemned BDS, making Maryland the first state to pass such a resolution. Now, Kramer believes this precedent in part has laid the foundation to incorporate similar measures into state law on a larger scale. Meredith Weisel, director of Maryland government and community relations at the JCRC, said all parties are in agreement with the current proposal and that she expects no amendments to be added. Opponents of the anti-BDS effort, however, argue that such bills violate free speech. During last year’s session, the BJC and JCRC had discussed pursuing similar anti-BDS legislation before ultimately deciding to put those plans on hold. At the time, BJC officials said, they didn’t feel the BDS movement garnered enough attention to pursue legislation. BJC executive director Howard Libit said the timing now couldn’t be better, especially with Hogan having just completed a fruitful weeklong trade mission to Israel in late September. Libit said while he doesn’t give predictions on pending legislation, he said “there is a strong case that the legislature will be supportive” of the bill. “I don’t want to sound overconfident, but I believe the state’s strong record of support [of Israel] will demonstrate to lawmakers the importance of passing this legislation,” Libit said. Anti-BDS resolutions have already been passed in 17 states, including Pennsylvania and Virginia. In an interview with his biographer Michael D’Antonio, Donald Trump explained that although he received a medical deferment rather than serving in the war in Vietnam, “I always felt that I was in the military.” This was, as D’Antonio reported in “Never Enough: Donald Trump and the Pursuit of Success,” because he spent his high-school years at a military-themed boarding school, not far from West Point. One difference between serving in the military and being a pretend soldier at the New York Military Academy, where Trump proudly led mock drills in snappy faux military uniforms, is that, in the real thing, officers are drilled not just in marching formations but also in the laws of war. These include the Geneva Conventions and the Convention Against Torture, which impose absolute, unconditional bans on torture and other forms of cruel and inhumane treatment of enemy combatants, categorizing such conduct, under any and all circumstances, as a war crime. The interview came on the same day that several news organizations published a draft executive order that, if signed, would command the Trump Administration to review the possibility of reintroducing C.I.A.-run “black site” detention camps for terror suspects and the use of brutal interrogation techniques. These practices were used during the early years of the War on Terror, but were shut down after the Supreme Court declared them subject to prosecution. At the daily White House press briefing on Wednesday, Trump’s press secretary, Sean Spicer, described the draft as “not a White House document.” Still, it was circulating through high levels of the government, and President Trump’s sentiments were clear. As any military expert could tell Trump, torture only increases the danger that soldiers face. It produces false intelligence, increases the risk that captured soldiers will themselves be tortured, and undermines discipline and moral authority. This is a lesson that George Washington knew well. As a general in the Revolutionary War, he vowed that, unlike the British, who tortured their captives, this new country would distinguish itself by its humanity toward enemy combatants. Washington’s order proved not just moral but also practical. As David Hackett Fischer wrote in “Washington’s Crossing,” his Pulitzer Prize-winning history, Washington’s superior treatment of enemy captives fomented desertion among British and Hessian soldiers, and bolstered the American soldiers’ morale. Washington’s enlightened orders formed the backbone of U.S. military policy until the War on Terror. America didn’t always live up to these ideals, but it nonetheless valued them, and enshrined them in law. The original copies of the Geneva Conventions are kept in a safe at the State Department, signed by, among others, Winston Churchill, whose bust Trump reportedly has chosen to give a place of honor in his Oval Office. Luckily, if Trump were to sign the draft executive order, the decision on whether to return to the brutal detention and interrogation techniques that former Vice-President Cheney called “the dark side” would not be made by the President alone. According to the draft, it would be made in consultation with the Defense Secretary, the Attorney General, and various leaders of the intelligence community. Congress and the courts have major roles to play as well. And, while Trump may have missed the lessons of recent history, several of his top appointees are not just well informed but also have personal experience in this area. As the Times reported, James Mattis, Trump’s Defense Secretary, like virtually every American military leader, is deeply opposed to the use of torture and the mistreatment of enemy combatants. As a Major General in Iraq, Mattis oversaw the swift court martial of U.S. marines under his command who had killed a captured suspect during a brutal interrogation. Trump seemed amazed to learn of Mattis’s opposition to torture, telling the Times, during a meeting with editors and reporters, that Mattis had told him that a beer and a pack of cigarettes work better. Trump’s surprise was itself a surprise to anyone with a modicum of understanding of American military history. Daniel Coats, Trump’s choice for National Intelligence director, has also had a first-hand look at the costs of the C.I.A.’s former detention and interrogation program. He served as George W. Bush’s Ambassador to Germany, and had to explain to Germany’s Interior Minister, Otto Schily, that the C.I.A. had made an embarrassing mistake: it had “renditioned”—meaning kidnapped—the wrong German, whisking him to a secret black-prison site and physically tormenting him for five months. Coats convinced Schily not to press charges, and to keep the intelligence fiasco secret, but, after being freed, the mistaken suspect, Khalid El-Masri, won a suit in the European Court of Human Rights, in Strasbourg. The court found that he had been tortured, publicly shaming the C.I.A., and condemned the countries that had assisted in the secret program. Danny Feingold is publisher of Capital & Main. Following an executive order signed late Friday, President Donald Trump on Saturday launched a sweeping attack on the travel rights of individuals from more than a half-dozen Muslim-majority countries, turning away travelers at multiple U.S. airports and leaving others stranded without answers — and without hope — across the world. Trump’s order triggered waves of outrage and condemnation at home and abroad, prompting thousands of protesters to flood several American airports and ultimately culminating in a stay issued by a federal district judge in New York City on the deportation of people who were being detained by immigration officials. Similar stays were issued by judges in Washington state, Massachusetts, and Virginia. The administration’s assault on civil liberties explicitly targeted the world’s most vulnerable populations — refugees and asylum seekers fleeing devastating wars — as well as young people with student visas pursuing an education in the United States, green card holders with deep roots in the country, and a number of citizens of countries not included in the ban. It also impacted American children traveling with, or waiting to meet, their non-citizen parents. With an estimated 500,000 people in the crosshairs, Trump’s order was carried out swiftly and sowed confusion among the nation’s immigration and homeland security agencies — which were excluded from the drafting process and were scrambling to understand how to implement it, according to media reports and two government officials who spoke to The Intercept. Days before the executive order was signed, reports began to emerge that valid visa holders were suddenly being prevented from re-entering the country after taking trips abroad. A senior U.S. immigration official, who asked not to be identified for fear of retaliation, confirmed to The Intercept that the rash of unusual student visa revocations began roughly a week before the official order was signed. Many of the stories the official heard about were anecdotal. Others, however, the official was able to review via internal Department of Homeland Security monitoring systems. While visas are revoked every day with little explanation afforded to those affected, the backgrounds of the individuals in these cases raised no red flags, the official said. On the contrary, the impacted individuals whose files the official reviewed included a young mother of a U.S. citizen child and students at some of the nation’s top universities who had been publicly recognized for their outstanding achievement. These students had already undergone rigorous U.S. government vetting before being admitted to the country, and had only traveled abroad briefly over their winter break. The Intercept has independently verified two of these stories by speaking to those denied entry, who asked that their names not be used because they are attempting to appeal the decisions. By the time Trump traveled to the Department of Homeland Security to trumpet the signing of his first anti-immigrant executive order Wednesday, the immigration official had personally reviewed four visa revocation cases that seemed to be out of the ordinary. In addition to young people with passports belonging to countries later targeted in Trump’s executive order, at least two were traveling on Jordanian passports. All were denied entry to the United States. In one case, the visa of an Ivy League medical student was revoked by Customs and Border Protection while he was in the air from a European layover to the U.S.
It’s unclear whether the visa revocations last week were related to the subsequent ban. “But the timing of the revocations indicates that CBP supervisors felt sufficiently empowered to use their discretion to deny admission and cancel the visas in these cases,” the immigration official said. The students repatriated earlier this week were also charged with violating U.S. immigration law — despite their valid visas — much in the same manner as some of those who were denied entry on Saturday, after the ban kicked in. In another case the immigration official reviewed, a Syrian woman traveling to the U.S. from a third country on Saturday was denied entry and told she had to return to her port of origin. After consulting immigration attorneys volunteering at the airport, the woman — along with several other students, tourists, and business visitors — formally requested “humanitarian parole,” which allows temporary entry in emergency situations. When they were all denied that, she requested asylum, explaining that she did not have residency in the third country she had flown from and feared returning to Syria. She was told she was not eligible to request asylum and that she had no choice but to return to her airport of origin, and then was walked to her gate. A lawyer she had briefly been able to communicate with told the immigration official that the woman was later made to sign a paper stating that she understood she had violated immigration law. Refugee and immigrant advocates were not the only ones scrambling to cope with the impact of the order — many immigration officials tasked with enforcing it were also at a loss. On Saturday, reports emerged  that the Trump administration denied the Department of Homeland Security and Department of Justice  input on the drafting of the order. While the visa revocations described by the immigration official we interviewed suggest that some CBP officials had indications of what was coming, there were also reports that even among career immigration and State Department officials, “nobody has any idea what is going on,” NBC News reported . The enormity of the executive order — slated to affect hundreds of thousands of people as well as severely impact the United States’ relationships with several countries — seemed to indicate it was written with little appreciation of the workings of the system it sought to undo. “I think the government hasn’t had a full chance to think about this,” said Judge Ann Donnelly, who issued an emergency stay in response to a lawsuit filed by the ACLU and other organizations and ordered the government to provide a list of names of the people affected. That stay — the first win in what will inevitably be many legal battles to come — only applies to people currently in the United States or in transit to the country. While reports multiplied of airport detentions and forced repatriations, so too did stories of panic and heartbreak among families who found themselves suddenly separated and desperate for information on when they’d be able to see their loved ones again. Hussain said her sister was able to speak to their mother briefly after she landed Saturday morning. She was crying and scared, Hussain said. “She doesn’t really speak English,” she added, and it was her first time traveling to the U.S. Hussain explained that her mother’s husband had passed away recently and she had no one left in Baghdad, a city increasingly riven by violence nearly a decade and a half after the U.S. invasion. As the wide-ranging scope of the executive order became clear, immigration attorneys and advocates, as well as universities, issued warnings to citizens of the banned countries not to leave the United States. CLEAR, a New York-based group that is offering free legal advice to those impacted by the ban, circulated a fact sheet explaining how people in the country on different immigration statuses would be impacted if they left. It also warned green card holders denied entry not to sign any forms at the border abandoning their permanent residency. But even as protesters in airports across the country broke into jubilation at the news of the stay, some people at those airports continued to be denied entry and, in some cases, were still threatened with forcible removal. Although DHS issued a statement saying it would comply with the court orders, at Los Angeles International Airport, Sara Yarjani, an Iranian citizen, was told by CBP officials she had to board a flight to Copenhagen, despite the nationwide stay and against the protests of lawyers and two U.S. congresswomen who were present. The representatives, Rep. Judy Chu and Rep. Nanette Barragan, asked over the phone to meet with CBP officials, who refused. When asked who they were reporting to, the officials said “Donald J. Trump,” then hung up on them. The Intercept was not able to confirm whether Yarjani was on the flight when it took off or whether she remained detained at the airport. A section of the order also calls for the suspension of visas and “other immigration benefits” to nationals of targeted countries. Abbas said this reference to non-visa immigration benefits indicates a likely intention on the part of the Trump administration to target green card holders already in the United States. On Saturday, the State Department also confirmed  that dual nationals of other countries would be subject to the ban on entry. A number of dual Iranian-Canadian citizens have already been prevented from boarding flights into the United States or were sent back after landing there, The Intercept has learned. But while there are no official accounts on the number of people impacted who were traveling when the ban took effect, the impact on those temporarily outside the country is likely exponentially larger. The stay does not apply to them, and it’s unclear how many people were stranded outside the country after their visas and green cards were suddenly revoked. A Texas resident named Stephanie Felten who contacted The Intercept said that her sister-in-law, an Iranian green card holder who has lived in Chicago for over a decade, was stranded in Iran after traveling there last week to visit family. With her in Iran is her 3-year-old daughter, an American citizen, who now has no way to return to the United States with her mother. Iran has promised a reciprocal ban on American citizens traveling there, effectively making it impossible for the child to see her father or the rest of her family. Have you been affected by President Trump’s travel ban? Do you know someone who has been turned away while attempting to return to the United States? The Intercept wants to hear your story. Please write to our reporters. Lynn Dombek, Spencer Woodman, and Leighton Woodhouse contributed reporting to this article. Chiquita Made a Killing From Colombia's Civil War. Will Their Victims Finally See Justice? A long-running case against the banana giant is moving forward in U.S. court. Vetting an interview with Anabel (not her real name) is not easy. In Colombia, witnessing paramilitary violence against your family generally means you keep quiet about it—it’s too dangerous to speak about what you’ve seen. Anabel tells us, after an extended period of negotiation, to meet her at her place of work near the trendy El Poblado district of downtown Medellín. We are told we cannot name her: What she saw and the powerful people who are implicated mean her own life is still not safe. Anabel is part of a class action lawsuit brought by the Washington, D.C.-based NGO EarthRights International against the food company Chiquita for alleged human rights abuses in Colombia. According to EarthRights, Anabel’s interview with In These Times is the first media done by any of the suit’s plaintiffs. Her family, she says, had long been receiving threats from local paramilitaries who wanted the land occupied by her stepfather’s banana farm. Land-grabbing by paramilitaries in this region—and much of the country—was and still is rampant. Land judged to be valuable to corporations would be bought or forcibly seized by paramilitaries and sold to rich individuals or corporations. When someone refused to buckle under the weight of threats, the paramilitaries resorted to violence. Colombia’s right-wing paramilitary groups initially developed during the Colombian civil war as private militias to defend landed interests. They proliferated in the 1970s, often backed covertly by the political class, which was intent on defeating the left-wing insurrection. And in 1997, these paramilitaries were intimidating enough that Anabel’s stepfather, aware of the dangers, eventually agreed to sell his land. When Anabel and her family met with the buyer, he said he had to go to another town, and they all got in a waiting taxi. But the taxi soon pulled to an unexpected stop. The buyer exited and another man came in, pulled a gun and started driving. Accompanied by other men on motorbikes, they continued on until reaching the end of a dirt road, where Anabel’s mother and stepfather were ordered to leave the car. The men beat and then shot her stepfather, killing him. Her mother tried to run; she was shot and killed, too. The men took the papers they needed for ownership of the land, then had the taxi driver bring Anabel into town. Anabel reported the murders to the police and they were able to identify the taxi driver, who she believes was involved. But as far as she knows, no case against him or the murderers was ever made, and she has still not been able to recover her stepfather’s land. “There is a lot of distrust,” Anabel says. “I still have nightmares. I cannot say that the issue doesn’t dominate. You cannot imagine the effort I’m making to not cry now. It’s extremely hard.” She then breaks down and cries. In each of four interviews In These Times conducted with survivors of paramilitary violence in Colombia, the survivors did the same. On our way out of the offices, another woman stops us and asks we interview her about her family killed by paramilitaries. Like Anabel, she claims the police—and Colombia’s labyrinthine judicial system—have done nothing to help her. No one in the community of un-people in Colombia—the poor, the peasants, the indigenous, the black—has escaped the terrible toll of war. But there may be hope on the horizon. In November 2016, after nine years of litigation, federal judge Kenneth Marra ruled that EarthRights’ case against Chiquita would continue in U.S. court. Chiquita, which has admitted to funding the ultra right-wing United Self-Defense Forces of Colombia (AUC), had argued the case should be heard in Colombia, where the banana company would be unlikely to be found guilty. But Marra’s decision means that Anabel and the other victims of paramilitary violence will go to trial in the somewhat more favorable U.S. court system. These legal developments occurred as the Colombian government of Juan Manuel Santos and the country’s oldest guerrilla insurgency, the Revolutionary Armed Forces of Colombia (FARC), negotiated a historic peace deal to end over half a century of conflict. Following the original deal’s shock rejection in a national referendum, the two sides swiftly redrafted an agreement that in November was unanimously passed in the Colombian congress (with many anti-peace politicians boycotting the vote). Under its terms, thousands of guerrillas will voluntarily demobilize in designated zones before integrating into civil society. Opponents of the deal, chiefly the conservative Democratic Center party of former president Álvaro Uribe, complain that it allows human rights violators to go free. But while Uribe tends to focus on the crimes of the FARC, right-wing paramilitaries leave a violent legacy of their own—a legacy inextricably tied to U.S. multinationals. Urabá, in the northwest part of Colombia, is the major banana-growing region of the country. Multinational companies have long coveted its land and resources. One of the most prominent of the companies working there is Chiquita—a corporation with a long history in Latin America. UFC is infamous throughout the region for its intense lobbying effort in Washington, which eventually helped lead to a CIA-instigated military coup d’état in Guatemala in 1954, overthrowing the democratically elected reformist social democratic president Jacobo Arbenz and installing military dictator Carlos Castillo Armas. This helped unleash a civil war that ended with a quarter of a million dead, and what the United Nations has termed “genocide” against the indigenous Maya population. By the 1990s Chiquita had significant operations in Urabá, the subregion where Anabel was living with her mother and stepfather. They were giving millions of dollars to mass-murdering paramilitaries, who had been emboldened by political protection during the civil war, to help protect their assets from dissidents and their operations from unionists. The major paramilitary group in Colombia, the AUC, has a long history of violence against peasants, trade unionists, Afro-Colombians and indigenous communities. Chiquita has admitted that it made at least 100 payments to the AUC in the period from 1997 to 2004, a total of $1.7 million. Court depositions like that of former AUC commander Jesús Ignacio Roldán Pérez (also known as “Monoleche”) in August 2015 as part of the EarthRights case, along with Freedom of Information Act requests made by EarthRights and others, have revealed even more evidence of the involvement of a long list of U.S.-based individuals in the atrocities carried out by Chiquita-funded paramilitaries. Several of the AUC commanders in the period are now in U.S. prisons, including Salvatore Mancuso, who, according to Monoleche’s deposition, has more extensive knowledge about the funding Chiquita provided to the AUC, which is needed if the case is to be heard in its entirety. Mancuso was sentenced on drugs trafficking charges in June 2015. Hebert Veloza, alias “H.H.,” was in the mid-1990s the commander of the AUC’s Bloque Bananero, which worked in Urabá and was implicated in many grisly murders. He was extradited to the United States in 2009 on drug trafficking charges. Anabel now believes Veloza to be one of the paramilitary leaders behind her parents’ death. In March 2000, internal Chiquita communications noted the connection between the convivirs and the AUC, revealing that Chiquita chose to “continue making the payments [because they] can’t get the same level of support from the military.” At the time these paramilitaries were regularly killing and dismembering people all over Colombia. Often the people they killed were opponents of big resource projects. Chiquita claims it didn't know what its money was being used for. In the fanfare around the peace deal signed by the Colombian state and the FARC guerillas, the role of multinational corporations in the violence was largely ignored. The unstated truth in Washington, D.C., is that many people have become incredibly rich by instrumentalizing the violence of the Colombia civil war to fight their own wars against opponents of their projects or company policy. “Some multinationals have directly collaborated with illegal paramilitary groups, but many others have turned a blind eye to human rights abuses,” says Grace Livingstone, the author of Inside Colombia: Drugs, Democracy and War and America’s Backyard: The United States and Latin America From the Monroe Doctrine to the War on Terror. In 2003, under then-President Uribe, the AUC initiated a demobilization process, which saw tens of thousands of men reintegrate into Colombian society, where many regrouped in armed gangs and continued to coordinate terror networks. In 2006 and 2007, Colombia’s Supreme Court unearthed the “parapolitics” scandal, which by 2012 had placed 139 elected politicians under investigation for links to paramilitary organisations, including payments. Former Senator Mario Uribe Escobar—Álvaro Uribe’s cousin—was among those convicted and sent to prison. Following the supposed AUC demobilisation, former commanders were provided special treatment, receiving little to no punitive action for their crimes. But then they started admitting what they’d done—and with whom. In 2008, Uribe had thirteen senior paramilitary commanders, including Salvatore Mancuso and others named in the Chiquita lawsuit, extradited to the U.S. where they are now in prison on drugs charges. Many suspect Uribe did this for his own protection, as several of the commanders claim to have directly collaborated with the former president. No one at Chiquita has paid for this with a prison spell, and no relatives of victims have received compensation. But in 2007, EarthRights filed a federal class-action lawsuit against Chiquita on behalf of Colombian families who had lost loved ones killed by paramilitaries in the pay of the company. Portions of the case were brought under the Alien Tort Statute (ATS), which allows human rights claims to be brought from victims of U.S. multinational companies within the U.S. court system, even if the crimes were committed in another country. But this potentially progressive piece of legislation often fails the people it is meant to serve, especially in the case of Colombia. In recent decades, a number of suits brought by Colombian plaintiffs against U.S. corporations such as Dole and Coca-Cola have been dismissed from the U.S. courts due to lack of jurisdiction. Chiquita filed a motion to dismiss the EarthRights case in 2008, on the grounds that the ATS claims lacked sufficient connection to the United States to be heard in U.S. courts. After a number of back and forths, this motion was granted in 2014. A petition to the Supreme Court filed by EarthRights, asking to reconsider, was also dismissed. D.C.-based lawyer Terry Collingsworth, who has been lead counsel on many cases involving the ATS, filed some of the earlier motions on behalf of Colombian communities in the Chiquita case. “The Chiquita and Drummond [a coal company also in a court battle over dealings in Colombia] cases both have great facts that should have been perfect vehicles for bringing successful claims under the Alien Tort Statute,” Collingsworth tells In These Times. But the ATS remains difficult to implement, largely due to the conservative U.S. Supreme Court. In a 5-4 decision, Kiobel v. Royal Dutch Petroleum (2013) held that the ATS could only apply extraterritorially if there are allegations that “touch and concern the territory of the United States.” This 2013 decision is flexible enough to make it easy for corporations with their significant war chests to argue to dismiss every time. The argument made by Royal Dutch (and many in the international business community) in that case was that it had no connection to the United States because it involved foreign plaintiffs and a foreign national business as defendant (even though the business has operations in the U.S), and all relevant decisions took place outside the U.S. The five right-wing justices on the Supreme Court jumped at the chance to limit the ATS, and left a fuzzy “touch and concern” test that provided more than enough discretion to lower courts to essentially gut the ATS. “The ATS needs to be redefined,” Collingsworth says. But “Congress … is very unlikely to champion a law that will be strongly opposed by the major business organizations, like the U.S. Chamber of Commerce and the U.S. Council for International Business.” And with the ascension of Trump to power, it is unlikely that the Supreme Court will become more progressive. Colombia’s domestic system holds little hope either. Several legal professionals tell In These Times that the Colombian judicial setup is so corrupt that justice can’t be served through it. 57 companies, including Chiquita, were recently charged with supporting the AUC—but the lawyers In These Times spoke to suspect the government won’t take any action to prosecute or otherwise hold these companies accountable. “The corruption is not just normal bribery. Colombian corruption is relationships,” says Collingsworth. For example, Jaime Bernal Cuéllar, a lawyer on retainer for Drummond in Colombia, was a law partner for years with former Colombia Attorney General Eduardo Montealegre Lynett. They have written books together and, Collingsworth tells In These Times, Bernal is the godfather to at least one of Montealegre’s kids. It's hard to see Montealegre launching a case against Drummond. Chiquita has not yet replied to a request for comment. The most militant struggles against corporations in Colombia right now are around mining, and its effects on local communities and the environment. In 2014, Dutch NGO PAX published a report on the collusion of mining multinationals Drummond and Glencore with paramilitaries in Colombia’s Cesar region between 1996 and 2006. Paramilitaries killed over 2,000 people in Cesar during those ten years, with the companies alleged to be providing financial and logistical support. As an example, she says, “They murdered Comrade William Castillo … on March 7.” Castillo worked for Association of Agroecological and Mining Fraternities of Guamocó (Aheramigua), the same group as Cerpa. But while the problem continues, the Chiquita case offers a chance for hundreds, perhaps thousands, of loved ones of those killed in the Urabá region—people like Anabel—to attain justice.